For those seeking massage or osteopathy treatments in and around the Washington area, Vitaphysical is just a short trip away. Our professional team of osteopaths and massage therapists offer a full range of treatments to cure your body’s aches and pains. Whether you’re aim is to restore function, provide pain relief or to promote relaxation, our range of massage treatments and osteopathy can help. The Vitaphysical centre is located on John Street Sunderland, a short drive from Washington, Tyne and Wear. From here our friendly team treats everyday conditions such as headaches and posture problems and tackles the painful after effects of accident and injury. The clinic was formerly known as Sunderland Back Pain Centre and though we now offer a far wider range of services designed to cure a number of conditions, we still hold a back pain clinic as well as a frozen shoulder and neck clinic. You can review the conditions we offer on our what we treat page. Not quite sure what type of treatment you need? Call our centre to discuss your case and we’ll be happy to guide you through your options. 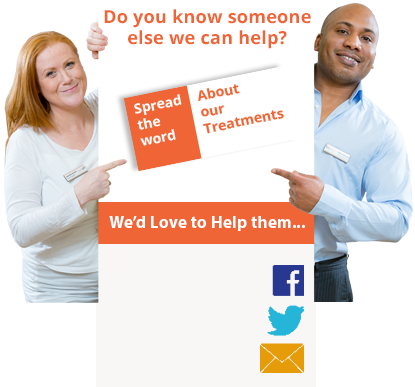 From the first chat through to treatment and beyond, our aim is to make you feel as comfortable as possible. If you’d like to bring a family member or friend to your treatments, we are more than happy to accommodate your request. The Vitaphysical team is made up of professionals who are specialists within their individual fields. Each is highly qualified and loves what they do, which helps us to achieve a consistently high level of customer satisfaction. The work of our osteopath Jason is complemented by massage therapies offered by Bronyia and Emma. If you’re looking for massage in the Washington area, we offer an extensive range of treatments including deep tissue massage, relaxation massage and Thai massage. Our sports massage specialist Kirsty also works with mums-to-be, providing pregnancy massage that eases pregnancy pains and promotes relaxation. Vitaphysical is a short 15-20 minute journey from Washington along the A1231, we’re situated on John Street close to Sunderland Road. We’re also within easy walking distance of the train and metro stations. You can find a map of where we are based on our contacts page. You can book an appointment with us online using our online booking form; alternatively, give us a call on 0191 565 8886 to discuss your requirements. We offer a discount on all first time visits, just download the relevant voucher and mention at booking to claim £10-£10 off.